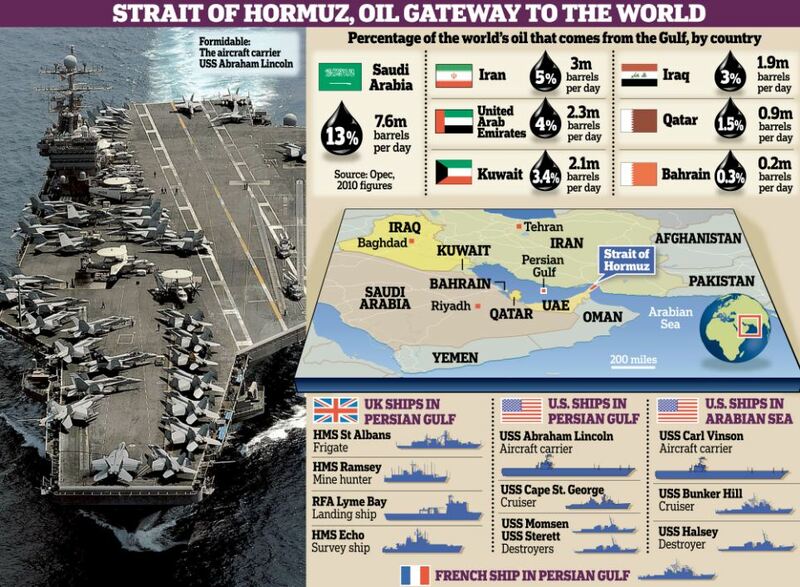 WWIII – Strait of Hormuz the Flash Point? 1. Iran believes in the Imam Mahdi, the one who is to come in a time of chaos that will create a Muslim Caliphate and teach Jesus (Isa) to pray in Jerusalem. 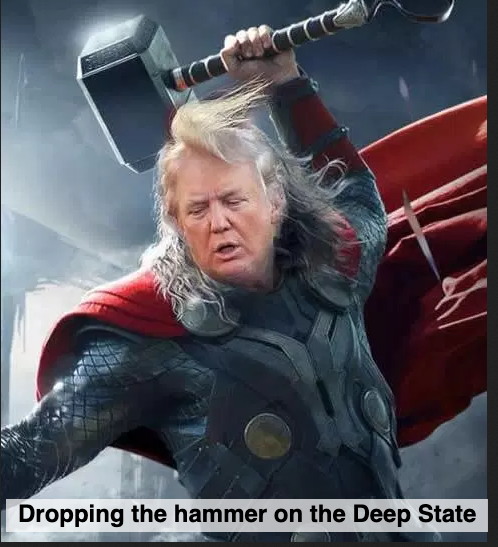 He will also wipe out the Jews. This apocalyptic belief is very dangerous as the Mullahs, the Islamic clergy that rules Iran, are believers in the Mahdi and point out that the Arab Spring is a fulfilment of the prophecy that states the Mahdi will appear during a time of chaos. This makes the situation charged with apocalyptic fervor. 2. Russia declared that an attack against Tehran was an attack against Moscow. You will notice that the chart above only shows Western military and naval strength, but does not show the positioning of Russian ships off Syria and in the Strait. Is this the hook in the Jaw that the prophet Ezekiel described thousands of years ago? 3. In Politics, Prophecy and the Supernatural, I point out that: the current political landscape is in direct correlation to supernatural events that happened, in some cases millennia ago. This statement sums up what we are seeing in the Middle East. Supernatural events have shaped the body politic in Iran – see point #1 – and thus, the Iranians are basing their militaristic position on those supernatural events. This also is in conjunction with the so-called Arab Spring. I believe that there is a supernatural component to the uprising of millions of people across the Middle East. If you scroll down to: In Other News. you will find a story about Egypt honoring the uprising. The Islamist have now won the majority of seats in the newly formed government in Egypt and I believe we will now see Sharia law implemented. This coupled with the blatant anti-Semitism that is now being proclaimed with slogans like, One nation for a new Holocaustt, can only exacerbate the endless tension with Israel. 4. I believe that we are seeing the stage being set for either the Psalm 83 war, the Isaiah 17 prophecy, or the Ezekiel 38 -39 prophecy. We may, in fact, see these prophecies fulfilled in rapid succession, one after another. In closing todays post: The drums of war are beating louder than ever and what may transpire in the Middle East may become the game changer of all time. I will write about a post that I read about disclosure tomorrow that I believe ties in with everything I discussed in todays’ BLOG. The war is a stepping stone to a one world government, a new paradigm that the new-agers and others are waiting for. We may see events that will leave us stunned. I believe the war is a prelude to what I call The Coming Great Deception.